Cette magnifique collection est celle de Wayne Reid de Nouvelle Ecosse au Canada. certaines des guitares ayant appartenue à Glen Campbell. 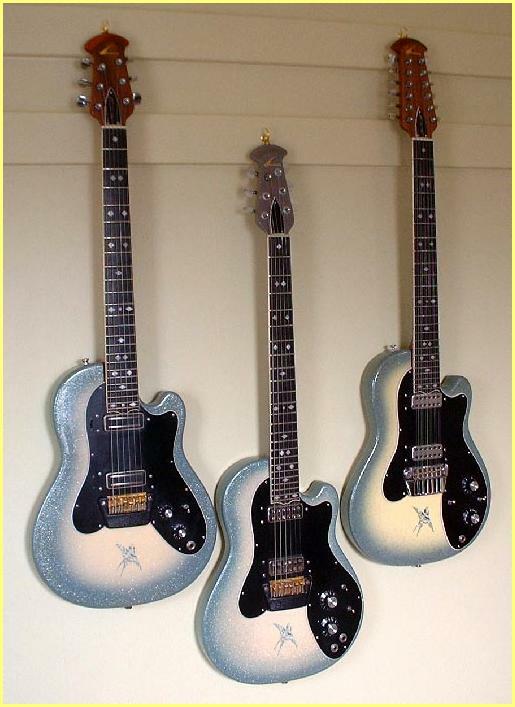 Parmis ces guitares, deux protos Adamas et G.C Signature de toute beauté. Egalement les fameuses "Bluebirds" qui, je l'avoue, sont parmis mes favorites!! Merci à toi Wayne pour ces suberbes photos et pour ta gentillesse. 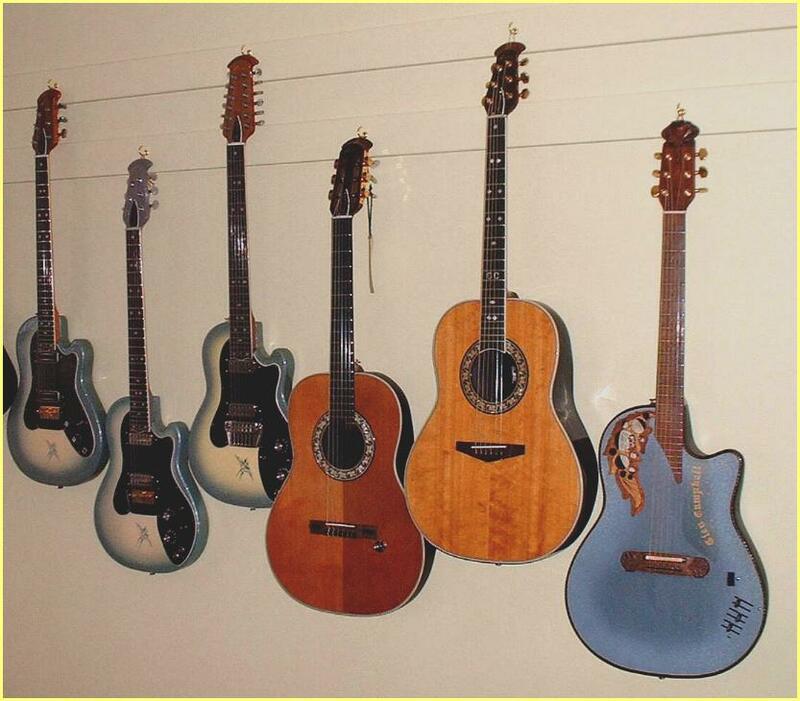 This splendid collection belong to Wayne Reid from Nova Scotia/Canada. 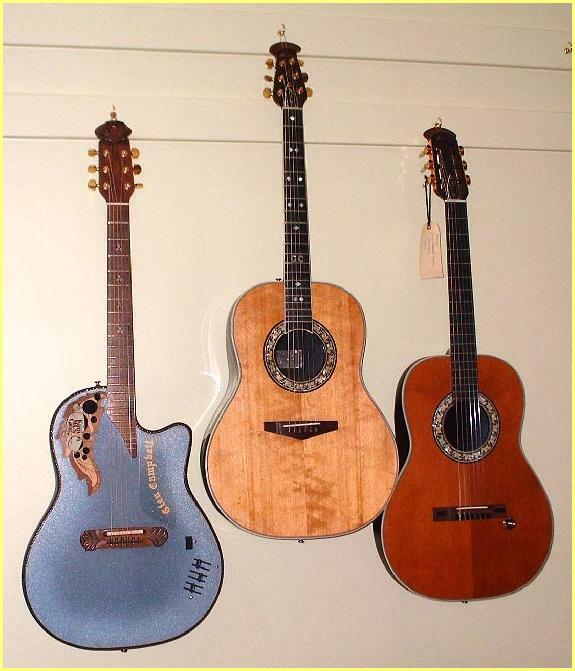 Among these guitars, two amazing prototypes, a 1981 Adamas and the first GC Deluxe Balladeer . Also the famous "Bluebirds" which, I acknowledge it, are among my favorites!! Thank you so much Wayne for these nice pics and for your kindness. the only difference is the single tone/volume instead of the double T/V UK2 setup. and a gray (faded from what used to be blue) neck. 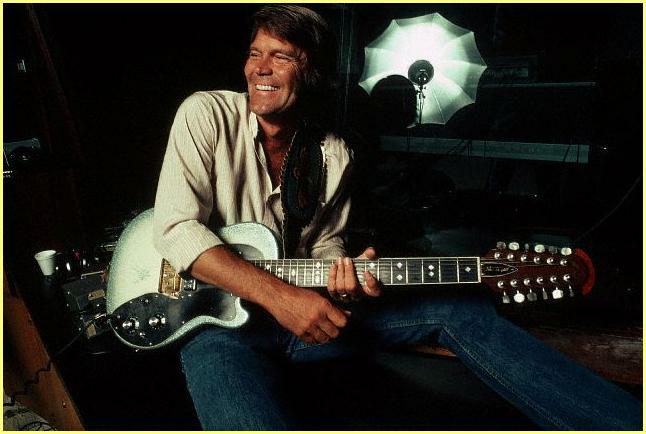 (1) 1981 Glen Campbell Adamas, one of the very first super-shallow bowl guitars to leave the factory. 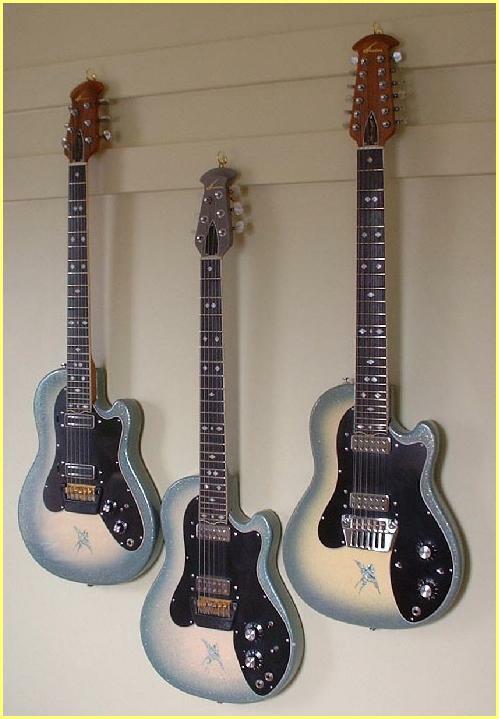 (2) Glen’s first custom built Ovation and prototype for the first GC signature series guitars. roundhole O I have ever played, period. (3) 1970 Glen Campbell Classic (ser #; X010, mod #; 1123-4E) with proto Barcus-Berry pickup. Built after the “Baldwin scare”to use as an interim guitar while Ovation developed their own pickup system. 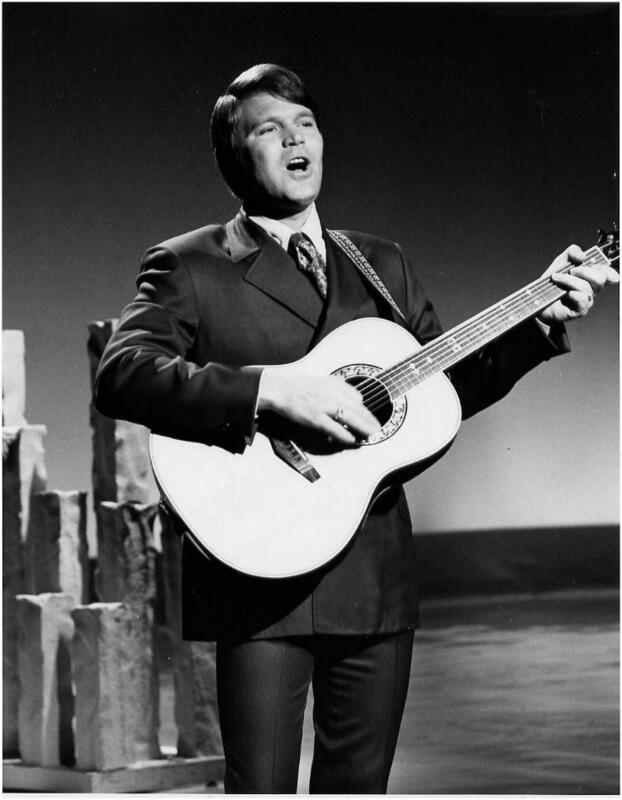 “Goodtime Hour Show”in 1969. I have a lot of stuff featuring this guitar.